3 year or 100,000km (whichever comes first) . Warranty is from the date of sale and proof of purchase is required. We guarantee the Original Purchaser against functional and/or material defects as a result of faulty manufacture and/or faulty materials. Shock Absorbers which are used on Applications, or fitted contrary to the information supplied in the application listings. Shock Absorbers that have been modified or damaged through incorrect installation. Eg. The damage caused to piston rods when not using correct tools. Shock Absorbers damaged as a result of an accident, collision or suspension abuse. Shock Absorbers that have failed for reasons other than fair wear & tear during normal and proper use. Eg. Using the vehicle for Rally or Racing Sports, or purposes for which it was not designed. Liability for any damages whether incidental, consequential or otherwise including labour charges. Wear & tear as a result of the re-use of parts such as rubber dirt shields & damaged bump stops etc. Reconditioned or recycled shock absorbers. 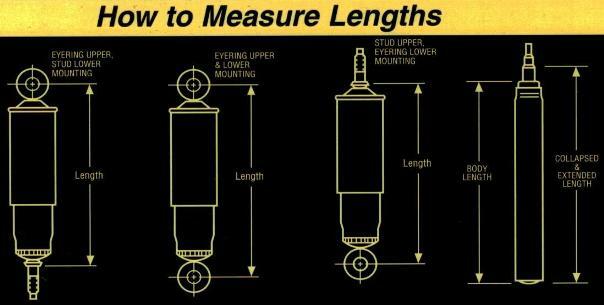 Shock Absorbers used on Medium or Heavy Commercial Vehciles or vehicles modified for increase Load Carrying Capacity beyond the makers design will only be covered by a 12 month / 30,000km (whichever comes first) warranty. Shock Absorbers which are used on modified suspension when not recommended by seller. Compensation is limited to the replacement of Shock Absorbers original supplied to the user and which are proven to Online Auto Part's reasonable satisfaction to have failed by reason of faulty manufacture and/or materials. Online Auto Parts reserves the right to have units returned for examination. The replacement units will be warranted for the balance of the duration of the original warranty period. In the case of a warranty claim please first contact Online Auto Parts staff. We will then advise of best action to take. Shock absorbers are usually required to be returned to Online Auto Parts & Ultima for inspection prior to any warranty being granted. Looking for Shock Absorber for your vehicle?